​Borussia Dortmund sporting director Michael Zorc has denied any knowledge of alleged talks between teenage starlet Jadon Sancho and Manchester United over a rumoured summer transfer that could be worth up to £100m. United have been heavily linked with a move for Sancho in recent weeks as the Old Trafford club plans summer investment in key position ahead of attempting to mount a Premier League title challenge next season. One English tabloid report over the weekend claimed that contact between United and Sancho's camp had already begun, but Zorc has seemingly poured cold water on the gossip. The implication is that, even if it is true, Dortmund are no more willing to sell their prize asset. Quizzed on the United rumour, Zorc told Bild, "I have no knowledge of it, but it has no relevance." 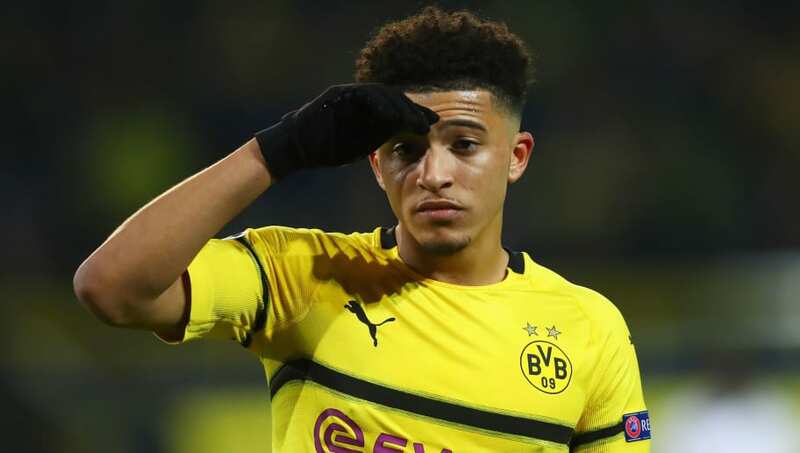 Sancho, who celebrates his 19th birthday today (25 March), has enjoyed a fine season with Dortmund, establishing himself as a first team regular and contributing 26 combined goals and assists in 35 games in all competitions so far. Having made three senior international appearances towards the end of 2018, the 2017 Under-17 World Cup winner started his first competitive senior England start in the 5-0 win over Czech Republic at Wembley last Friday. Muscle tightness has put a question mark over his involvement in Monday night's second Euro 2020 qualifier against Montenegro, opening the door for close friend Callum Hudson-Odoi to start an England game before he has started a Premier League game at club level. Last week, Sancho won the 2019 Goal NxGn award, handed to the world's premier talent ageed 19 or younger. He beat the likes of Hudson-Odoi, Phil Foden and Vinicius Junior to the prize.